There is no doubt that moving home can end up being one of the most stressful experiences in a person’s life. But if you are not careful, it can end up being a very expensive one as well. However, there are a range of ways that you can make this whole process more affordable. And if you can save money, there is no reason that you should be paying more. Here are just a few ways that you can make moving home cheaper. You shouldn’t automatically assume that hiring the professionals will be more expensive than doing it all yourself. Try to get at least three different quotes from moving companies before you make your final decision. You can also try to negotiate with them, which tends to work better in the off-season. If you still find that the do it yourself approach is more affordable, save yourself gas money by avoiding peak traffic hours. Try to convince your friends to help you out if you can to make the whole job easier. 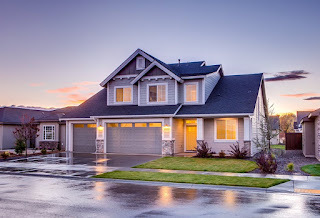 If you are in the process of selling an existing home before moving, you may find yourself short of cash so going to an agency that declares we buy houses can help speed things along. Another way that you can make some extra money is by decluttering your home and selling on anything you no longer need. As well as giving you some extra funds for your move, it is less stuff that you need to pack up and take to your new place. With so many selling websites and apps out there these days, you can find buyers for all kinds of things. You are probably thinking: how much can boxes cost anyway? Well the truth is that they can be very costly if you rely on your moving company to provide them for you. Try finding some at your office or workplace instead or you could otherwise speak to friends or families who have moved recently. Another option is to ask down at your local liquor store as they are likely to have some strong boxes. Otherwise, a website like Freecycle may have some boxes available. You should try to line up your moving dates with your utility shut-down dates as closely as possible. Unfortunately, some companies won’t let you shut down on the exact day of moving so you could consider cutting off your service. Obviously, this is not going to work for something essential like gas or electricity, but with a service like cable TV, you can probably survive without this. Though some people save money by wrapping up their valuables in bed linen or towels instead of expensive bubble wrap, you have to consider both the cost and sentimental value of these possessions as you don’t want them to break.